As many of you know, I’ve been making it a tradition for myself to carve a stupidly ridiculous pumpkin each year since 2009. Those of you that follow me on Twitter know that I’ve become insanely obsessed with The Hunger Games , so much so that I spend a lot of my Twitter time talking about it, I go on Hunger Games podcasts, and I even work for a fansite. 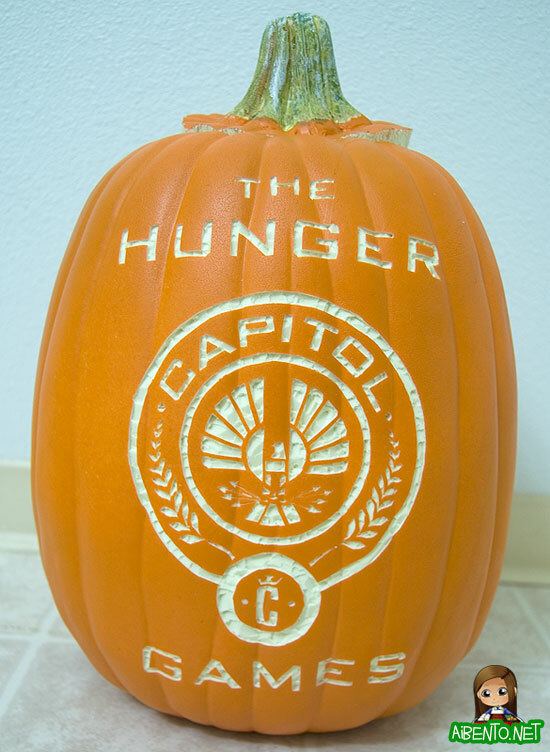 So it shouldn’t be surprising to see that for my first pumpkin of the year I made a Hunger Games one. It’s my first year carving a foam pumpkin and although I was pretty happy with the actual carving and I’m of course really happy that my 6+ hour creations won’t be rotten by the next day, the downside is the horrible lines inside the pumpkins when they’re lit. Any up-to-date fans know what it is from this image I took early on? 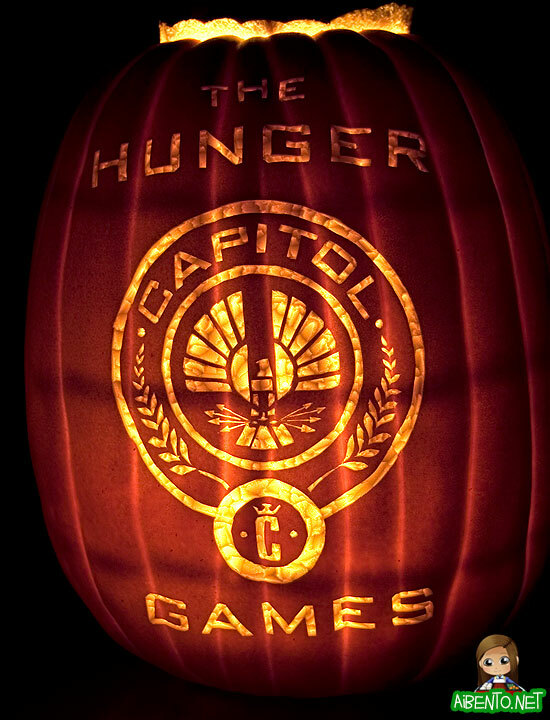 If you guessed the Capitol seal, bravo! I printed a seal and tried poking holes like in a normal pumpkin, but much to my horror, if you don’t carve it right away, the foam just seals those little pokes right back up. 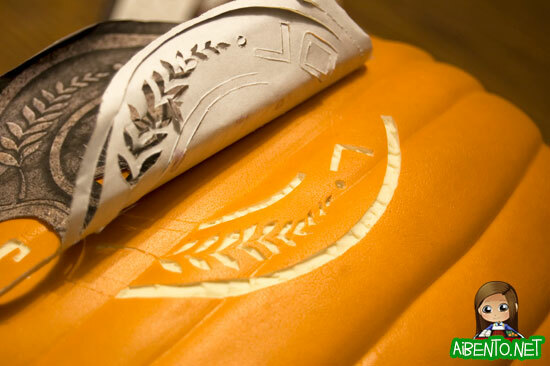 In the end, I just cut straight through the paper onto the pumpkin and scratched out little pieces. Here’s what it looks like in a lighted room. I’m pretty happy with it, though I have blisters from holding an X-acto knife for six hours. Now you can see what it looks like lit in the dark and now you know what I mean about the lines inside. Apparently these pumpkins are meant to be decorations, not carved, so the inside is constructed with some weird looking grid to keep the shape. But, since you can only see the miniscule details (such as the arrows at the eagle’s feet) when it’s dark, I guess I’ll have to just live with it. I’m sure it’ll confuse neighbors and trick or treaters, getting a bunch of “What the heck is The Hunger Games?” but it’ll be fun to have anyway, especially next year when it’s more popular! I heard about a different pumpkin patch to visit this year in Waimanalo, so I’m going to give that one a try and hopefully I can avoid the massive dust hurricane blowing into my eyes like last year. Talk about a total nightmare experience!